Learn the basics of quilting while you make an beautiful baby or lap quilt with our program coordinator, Rossie. There are no prerequisites for this class. All you need is a positive attitude and an eagerness to learn. 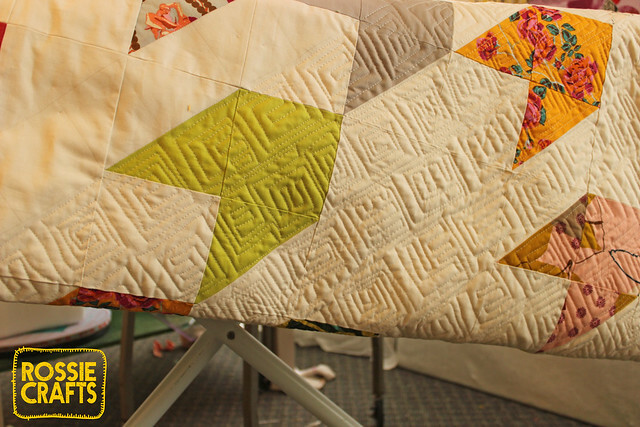 This class will cover fabric selection, cutting, piecing, pressing, making a quilt sandwich, basting, machine quilting, and double fold binding. For the first class you will need your sewing machine, the sewing machine's manual, and thread. Later classes will require additional materials, this will be discussed in class. The Flyers quilt is the project. Although the pattern is for a lap or baby sized quilt, the design is customizable... you can start a big quilt or just make a mini quilt! You will be learning how to choose fabrics for a quilt, as well as two ways to cut and piece half square triangles. You will also learn how to use the Accuquilt Go to cut pieces, as well as using a rotary cutter. This a course. It meets four Fridays, from 10:15-1:15; each class is three hours long. The course runs from September 27th through October 18th. 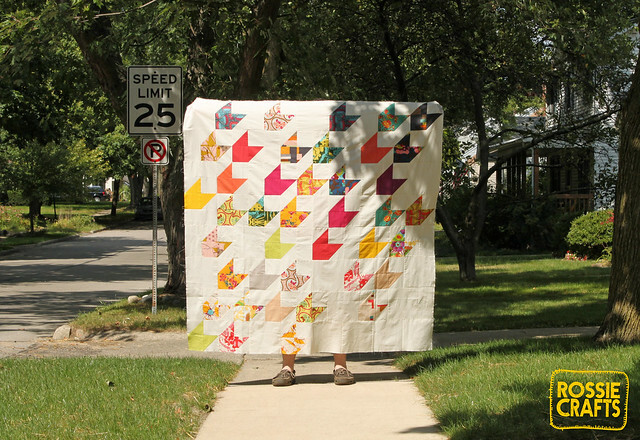 The teacher of this class, Rossie Hutchinson, is the founder of the influential Flickr group Fresh Modern Quilts. Her quilts have appeared in magazines, books, and quilt shows around the country. She also creates and sells custom plexiglass shapes for itajime shibori dyeing and other uses.